Mut@nt Digital Technology will have this year again a booth by Angacom. You can find us at Hall 10.2 Booth A40 on the 7th, 8th or 9th of June 2016. 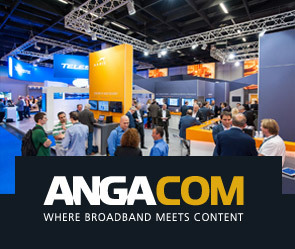 Angacom 2016 is the year of HEVC, H.265 and 4K. Please come and visit our booth. With a refreshment or cup of coffee we will show you the latest models and features.